Surprise is home to Sun City Grand, which has 4 golf courses that are kept busy all day by enthusiastic golfers. There are other developments with a golfing lifestyle in the area, plus public courses. Surprise is located northwest of Phoenix, Glendale, and even Sun City. Previous to 1938 the area was nothing here but desert or ranches, but now it is filled with active adult developments (principally Sun City Grand, the newest of the Sun City developments in the Phoenix area). Surprise is the spring training home of 2 major league baseball teams, the Kansas City Royals and the Texas Rangers. You can choose from some large active adult communities (see link at right). For example Sun City Grand is here; the original Sun City and Sun City West are nearby. After the real estate crash home prices in Surprise tumbled from the high $200's to the mid $100's. According to Zillow, the median home value was $255,500 in early 2019, and calls it a "Hot" market at this time. 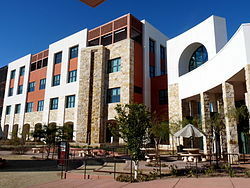 Surprise is a new community and located in a formerly unspoiled area of Arizona. The Kansas City Royals and Texas Rangers both have their spring training at Surprise Stadium. As part of the city's Recreation Campus, Surprise is also home to the Surprise Tennis and Racquet Complex. The town is about 24 miles from Phoenix, where you can find any kind of big city cultural or sports event. Surprise was hit hard by the 2007-2008 housing crisis, but is coming back from that now. It is a community where you generally need your car to go anywhere. 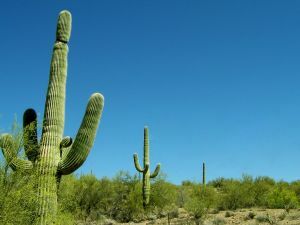 Surprise is in the great Sonoran Desert, northwest of Phoenix in south central Arizona. It is dry and small mountains are prevalent. Very hot summers, most rain comes in the spring, winter temperatures in the 40's-60's. The city has a 10,562-square-foot Aquatics Center as well as Maricopa County's $5.5 million, 20,000-square-foot northwest regional library. For culture one would do best to go to Phoenix - unless you live in one of the Sun Cities. Those communities have non-stop cultural events. Crime in Surprise hovers lower than the national average.